Avevo parlato in qualche Post precedente dei bracciali borchiati (dorato ed argentato) che ho comprato sul Sito del marchio Monsieur Steve. Dopo qualche giorno la gentile Sabine dello Staff (che ringrazio per l'opportunità) mi ha invitato a scegliere una delle loro splendide T-shirt e me l'ha inviata come regalo. Previously I wrote a post about studded bracelets (golden and silver) that I bought on Monsieur Steve Store. After a few days the kind Sabine (thanks for the opportunity) invited me to choose one of their great T-shirt and sent it to me as a gift. Un marchio molto giovanile, attento agli ultimi Trend, alla frasi Cult, alle icone di Stile e tutto ciò che ruota all'interno del Fashion System. Moltissime le T-shirt con volti di personaggi famosi come: Kate Moss, Anna WIntour, Karl Lagerfeld, Marc Jacobs, Coco Chanel,.. e molti altri. I giovani Designer riescono cosi ad ironizzare sul mondo della Moda e a creare sempre nuove stampe e frasi ad effetto. A very young Brand, always on the latest Trends, Cult phrases, Style Icons and everything that revolves within the Fashion System. Many T-shirts with faces of celebrities like: Kate Moss, Anna Wintour, Karl Lagerfeld, Marc Jacobs, Coco Chanel, .. and much more. Young Designers are able to be ironic about the whole the Fashion Business and alway create new prints and phrases. Ecco alcune delle T-shirt che potete acquistare direttamente dal sito, il tutto verrà spedito tramite DHL (miglior corriere insieme a UPS) in circa 2-3 giorno avrete i vostri acquisti a casa. Tutte le stampe possono essere fatte su T-shirt sia per Uomo che per Donna. SPECIAL DISCOUNT CODE: se al momento dell'acquisto della vostra T-Shirt preferita digiterete il codice SYRIOUS avrete uno sconto pari al 20% del totale. Un'occasione da non perdere!! Il codice sarà attivo SOLO per 30 fortunati lettori. These are some of the T-shirt you can buy directly on their webiste, the courrier is DHL (one of best, with UPS) and in 2-3 days you will receive everything at home. All prints can be made on T-shirts for both men and women. SPECIAL DISCOUNT CODE: at the time of purchase of your favorite T-shirt you have to type the code SYRIOUS to receive a Special Discount of 20% of the total. Not to be missed! The code will only be active for 30 lucky readers. Conoscevate già questo brand? che ne pensate? Presto il mio Outfit con la mia Monsieru Steve t-shirt solo sulla Pagina Facebook. Did you already know the brand? what do you think about? 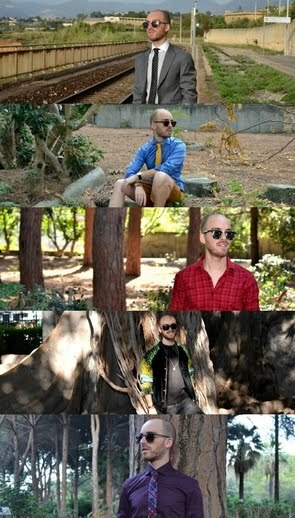 Soon my Outfit with my Monsieur Steve T-shirt only on Facebook Fanpage. j'adore les tee shirts, et les bracelets aussi. This t-shirt is totally amazing! Damn I want it!! non conoscevo questo marchio ma che fortuna che ti regalino una maglietta! quella che hai scelto è la più carina! wow those tshirts are great!!!!! i love the t-hirt. its really amazing! I'm so in love with these - the one with KL & AW on is hilarious!!! Bella questa maglietta, mi piace! The bracelet is cool! Like the t-shirt so much! These are so funny and bring a nice light side to fashion! 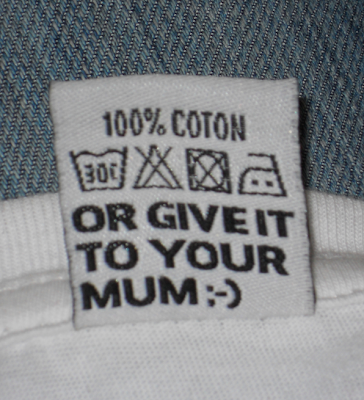 I love the washing label! 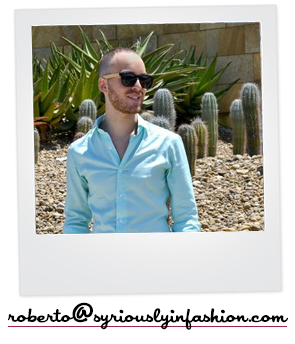 Queste t-shirts sono favolose! "DIOR NOT WAR" è geniale! All of these t-shirts are great! haha, that's a great shirt! Wow, these shirts are amazing! The print of your shirt is great and I love the label with the washing advice.